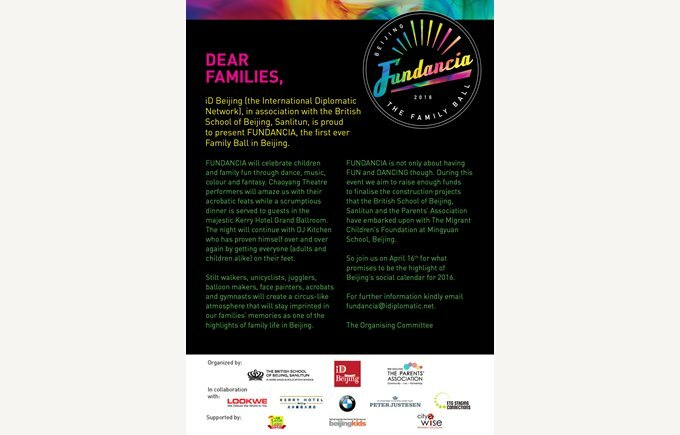 Our friends, iD Beijing (The International Diplomatic Network), in association with The British School of Beijing, Sanlitun, is proud to present FUNDANCIA, the first ever family ball in Beijing. 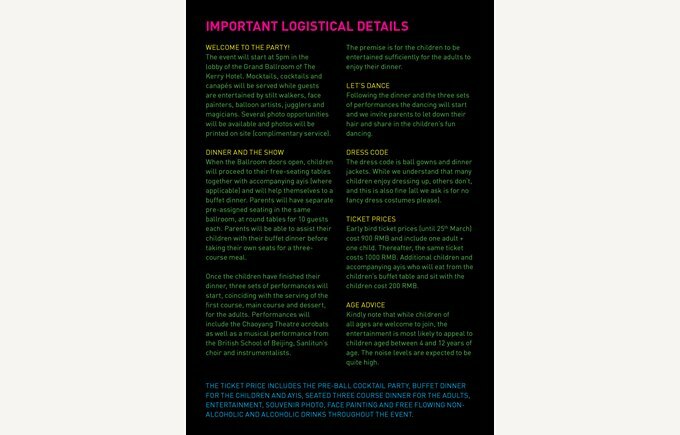 As well as the evening being aimed at providing fun and entertainment for those who attend, we also hope to raise funds to finalise the construction projects that BSB, Sanlitun and our Parents’ Association have embarked upon with The Migrant Children’s Foundation at Mingyuan School, Beijing. 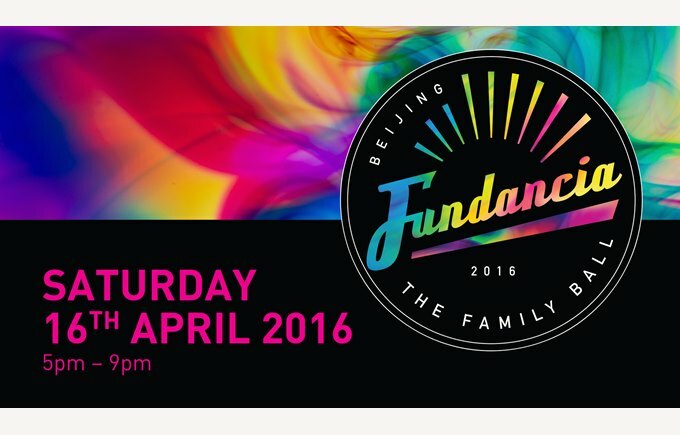 EARLY BIRD TICKETS (until 25th March 2016) are 900RMB (includes one adult + one child). Thereafter the ticket price is 1000RMB (includes one adult + one child). 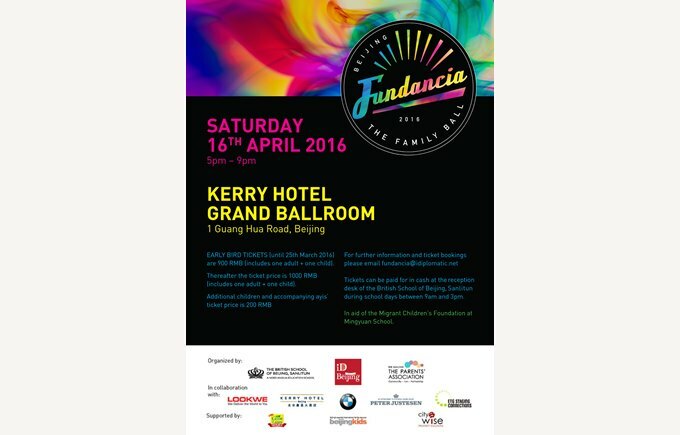 Additional children and accompanying ayis’ ticket price is 200RMB. Tickets can be paid for in cash at the reception desk of The British School of Beijing, Sanlitun during school days between 9am and 3pm.